Throughout history important knowledge has very often been kept secret by groups of people who wanted to keep the masses ignorant and docile, so that they could easily be controlled, manipulated and enslaved. In the cases where this knowledge couldn’t be repressed, the information was either manipulated so that it lost its true meaning, or was demonized (portrayed as wicked and threatening) and often made illegal so that the people would fear it and automatically stay away from it. This is the case with many of the very ancient symbols such as the All Seeing Eye. Like I discussed in the past, a lot of knowledge is compressed and encoded in these simple symbolic visual representations — important knowledge concerning the fundamental nature of the reality we live in. Knowing their true meaning unleashes true power for the individual, who then cannot be enslaved anymore. 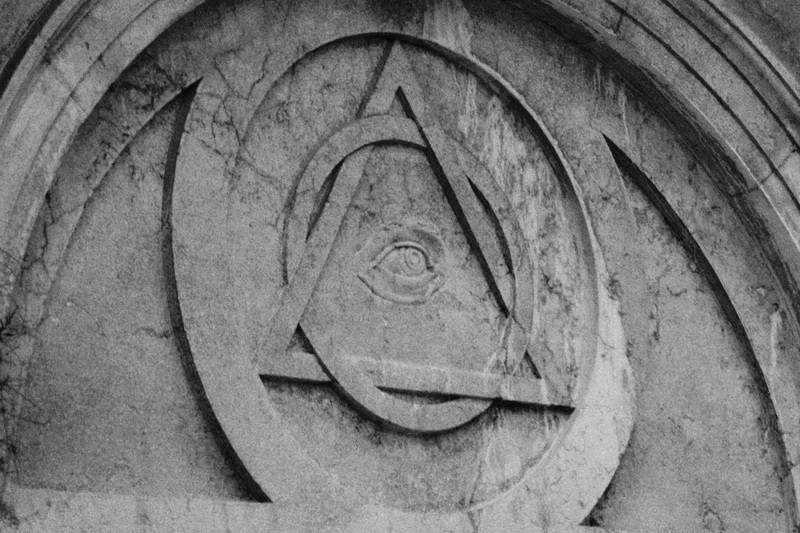 For example, ask yourself why the All Seeing Eye can be found inside so many churches and cathedrals around the world, while its true meaning is unknown to most of the people who attend. Instead of being told the truth, why are the masses made to worship a fake figure on a cross? Why aren’t they told that this fake figure on the cross is a symbolic representation of the sun? Why is this information being withheld from the public? Consider that it was even worse in the past; just a few centuries ago it was even illegal for people to own a copy of the bible and read it themselves. Those at the top of these organizations do know what these symbols mean, of course, and that knowledge is often used against the masses. The masses have been kept in the dark on purpose for thousands of years either through a lack of information, or misleading and even completely false information. But like I discussed in my post on the Global Brain, we’re heading into an age now where it’s going to become increasingly more difficult to suppress knowledge and to keep the masses in the dark. The (mentally) dead are now waking up. As a result of this awakening, the Zionist controlled Hollywood has been abusing these symbols in their movies and entertainment in the last few years. Through their propaganda these symbols are being connected with superficial information and disinformation 1 in the mind of the public. The elite have realized that they cannot suppress and demonize these symbols any longer, and their strategy has now changed to making them superficial and spreading disinformation about them. The knowledge that’s encoded in these ancient symbols isn’t evil in and of itself; it’s how you use it that matters. Take a hammer, for example. A hammer can be used to build things, but it can also be used to destroy. It can be used both for positive and negative purposes. The fact that someone can use a hammer for negative purposes doesn’t mean that it’s intrinsically a dangerous or evil tool. The same goes for the knowledge encoded in the ancient symbols. That knowledge can be used both for good and evil purposes. And when the masses are completely ignorant of that knowledge, they become especially vulnerable in the hands of the small elite who are aware of that knowledge and don’t have the best interests of the masses in mind. You see, knowledge has to be made occult, or has to be demonized, in order to continue to be able to abuse it and use it against the masses. If the masses aren’t aware of that knowledge, it becomes impossible for them to realize exactly how it’s used against them, and consequently, much more difficult for them to defend themselves. Disinformation is intentionally false or inaccurate information that is spread deliberately. It is an act of deception and false statements to convince someone of untruth. Disinformation should not be confused with misinformation, information that is unintentionally false. Unlike traditional propaganda techniques designed to engage emotional support, disinformation is designed to manipulate the audience at the rational level by either discrediting conflicting information or supporting false conclusions. A common disinformation tactic is to mix some truth and observation with false conclusions and lies, or to reveal part of the truth while presenting it as the whole (a limited hangout). Another technique of concealing facts, or censorship, is also used if the group can affect such control. When channels of information cannot be completely closed, they can be rendered useless by filling them with disinformation, effectively lowering their signal-to-noise ratio and discrediting the opposition by association with many easily disproved false claims. This entry was published on Tuesday, April 28th, 2015 at 11:17 pm by Karel Donk and is filed under Politics Religion Science Takes on Life global awakening. You can use the permanent link to bookmark and/or share it.